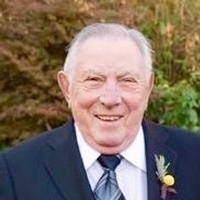 Homer Edward Hahn, 86, died Saturday, January 26, 2019 at Erlanger Medical Center. Born in Naper, Nebraska, Homer was the son of the late Edward and Ester Barts Hahn. He was a veteran of the U. S. Army. Homer was a supervisor for Kimberly Clark before retiring. He and his wife Johnnie moved from Tulsa, Oklahoma to the Spring City community in 1995. Homer liked to fish, enjoyed gardening and yard work and loved to play cribbage. He had a passion for politics. Homer was a member of the Prince of Peace Lutheran Church in Evensville. A memorial service with military honors will be held on Saturday, February 2, 2019 at 3:30 pm in the chapel of Vaughn Funeral Home with Rev. Bob Schafer officiating. Vaughn Funeral Home, Spring City, Tennessee, is in charge of arrangements. Please share your condolences and memories of Homer on our website www.vaughn-funeral-home.com.